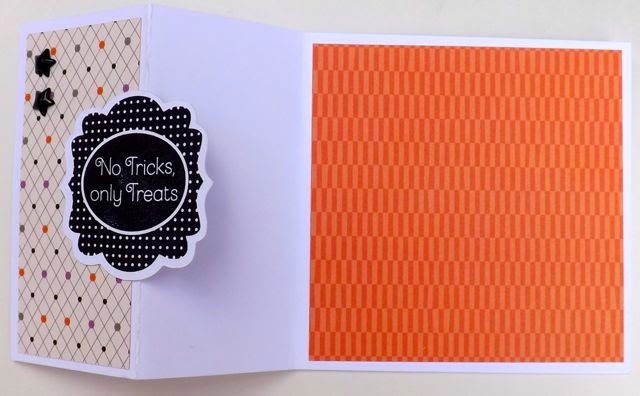 The Scaredy Cat paper for Halloween is a fun paper pack and is perfect for all ages! We made this card at convention and I loved how fun it was! It looks like a swing card that is much more complicated to make! It is a regular square card that we folded the front in half and put the diamond paper on it. 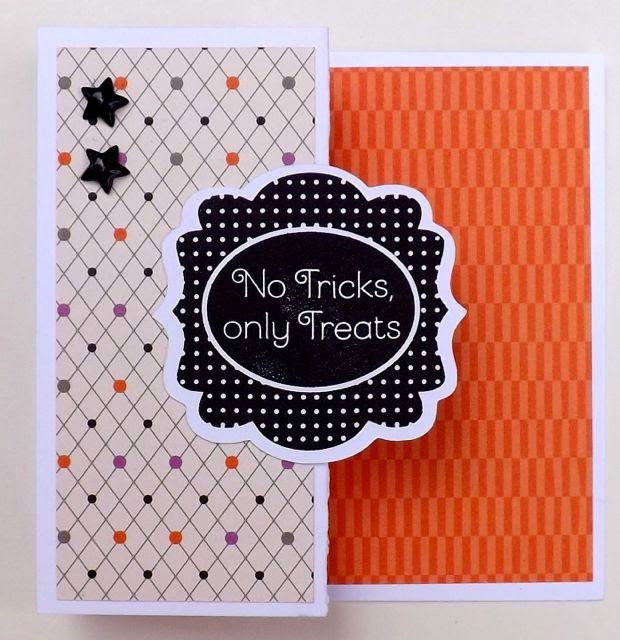 We then stamped the No Trick only Treats sentiment from the Halloween Greetings stamp set. The red lines around a shape on a stamp set means that they have a shape that coordinates with one of our Cricut cartridges. 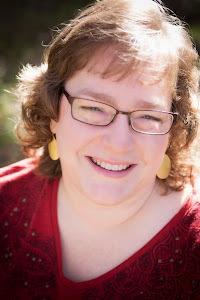 The shape had been precut with the Cricut Artiste Cartridge which made it easy and quick! We then just stuck it on the front in the middle of the fold! Then when you open the card it swings to the middle part of the card giving it more interest! 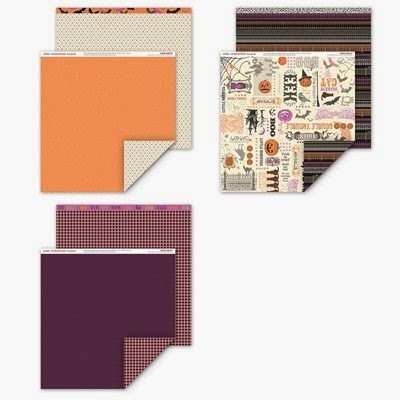 The cute black stars are from the Scaredy Cat Assortment which is a great complement to the Scaredy Cat paper!